As you sit and reflect on your day, I would like to invite you to MO’S HOUR OF ADVENTURE. Tonight I’m going to tell you a story about hidden treasure, pirates, imagination, and adventure. That’s right, we are about to revisit our sense of child-like wonder– we are going to find buried treasure. As you read, I would like for you to use your imaginations, yes- your imagination, and picture yourself in your best pirate outfit. Ready? Let the adventure begin! “Aaarrgggh Matey, we are going to find buried treasure- one that has been hidden for centuries.” * in my best pirate voice lol*. For this adventure, we need the treasure map, a shovel, a flashlight (just in case), water, snacks and of course a compass to make sure that we go in the right direction. Some of you guys reading may be like, what does this have to do with God…patience, we’ll get there. Anyways…We are looking for a hidden treasure, one that has been in the hearts of men but has yet to be found. 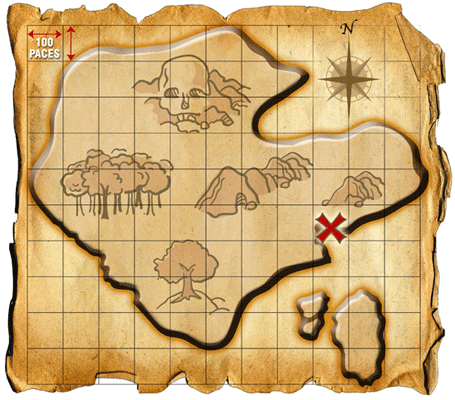 Every person that attempted to find the treasure could not understand the map and therefore the treasure continues to be undiscovered. This treasure is rumored to be a chest filled diamonds, rubies, emeralds, peals and of course, an abundance of gold, Legend has it that the treasure was hidden in plain sight, to make it accessible to all that would seek for these precious stones- this heightens the level of wonder and curiosity within the daring soul. Tonight we are going to find this treasure and when we do, we will give it to those who are searching for something more in their lives- something great! So, let’s look at the map- shall we? This map looks like it has seen better days. The edges are worn from being in the hands of many over the years, What was once white is now a shade a deep tan because of the elements. Finally, the ink used to the create the dash-lines on our map is faded because of time. So we look closely at the map to make sure we do not make any mistakes. We need our compass with the map to guide us in the right direction. Make sure your compass is not broken, because if it is – it is no good to you or the crew following you to retrieve tonight’s treasure. Our compass is retrieved and used with our map to get us to an island of of the Pacific Ocean. We arrive on land and we look at the map, there is nothing but sand and trees in front of us. This search looks to be impossible as we look at the map and then look in front of us. We are looking at an impossible search. Near each marker is a set of directions with how many paces we should walk in a certain direction. “Look at the map and move forward” The map says to move North-10 paces. So we move in the direction of north 10 paces and then we walk east for 25 paces until we come to a tree. The next direction is west for 35 paces and so on. We finally come into what looks to be a jungle, there are trees and animals everywhere. As we continue to follow the map, X marks the spot and we come to a rock with a X on it. The rock cannot be the treasure- is it? Confusion begins to set in and we begin to doubt our journey because it seems that we got it wrong. One of the crew members suggest moving the rock and digging in that spot. Why not? What do we have to lose? So as a crew we begin to dig and dig and dig…It seems like we are digging forever. Suddenly, our shovels hits something and a large *Thunk* fills the air. We found something! Now we have to get it up, it’s the treasure that was promised! We lift the chest unto the ground and we open it, within the chest is everything we have ever hoped and more. We have enough to share with many, now sharing is going to be a hard decision – since it is so much easier to keep this treasure to ourselves. The chest is filled with rubies, emeralds, diamonds, pearls, gold, a Bible and some rare items from the person who buried the treasure. This chest is indispensable and is highly valuable- it was worth the search! The End. This was probably a poorly written pirate/hidden treasure story- I didn’t want to make this post super long. lol. As you all know, I love God and I like the idea of sharing ideas about Him in stories- call it a parable if you will. This pirate story was a parable. The pirate represents mankind, the treasure represents a sense of purpose, the map represents the Word of God, the compass represents the Holy Spirit (a guide), and the chest itself represents Christ. Like a pirate, we spend our lives searching for something and we usually steal from others to get it. Mankind has been known to steal ideas, desires, destinies, dreams and etc. in order to add to our collection of things that we aspire to have. Instead of searching for something ourselves, we look to others and emulate/ take what they are doing and apply to our own lives. This is the “stealing” that I am referring to. We all want a “treasure”, a sense of purpose- a sense of belonging. So we seek out our treasure. Some of us seek out our treasure in our jobs, addictions (alcohol/ drugs/ etc), relationships (whether good or bad) and family/friends. We are a people who are always searching for more. We want more; more love, money, companionship, and things. We just want more, so we go on this life long search to fill the void that is within us, in hopes that we will find what we need to be filled. Think about it, why do so many people pack out the church on Easter and Christmas? We are searching for peace in times of stress and doubt. Say we find that our peace is in God, but we don’t know Christ as well as we desire-so we begin to read the Word. Some of us never make it to the treasure because we DON’T follow directions. If you read the Bible but you do not apply it’s principles to your life (obedience – # of paces), you will never find what you need/desire. The Word of God will always lead you to Jesus, no matter what! You can read the Old Testament or the New Testament and all 66 books will lead you to Christ. It’s a maps job to lead you to your final direction. The thing about a map is that it is easy to get lost if you don’t have a sense of direction. The compass’ (Holy Spirit) job is to lead and guide us. He helps us understand the map (Word of God) that we are studying. He is the sense of direction that we need to step closer and closer to Jesus. You have to make sure that your connection to Him isn’t broken, because if it is… you’ll be walking in the wrong direction. In order to find your treasure, you need Him and the Word. The chest represented Jesus Christ, filled with precious stones – extremely valuable. He is accessible to all, and is in plain sight but sometimes overlooked because of His simplicity. He is simple and this is the reason that many do not recognize Him. I feel like people like to complicate things, like if it’s hard to understand then it’s easier to believe. Weird, right? I know. I think that philosophy is weird but that is the society we live in- that is why everything is made to be extremely hard and complicated. Christ and His teaching are really simple. Love God and your neighbor, give to the poor, take care of those around you, live life freely- super simple, but we make it hard. In Him are the riches of life. He holds peace, love, joy, contentment, and security – the things that we seek in our lives. Sometimes it seems easier to keep Christ to ourselves, but we must share Him so that others can find their treasure. In Him lies our most valuable needs, Our purpose for being is within Him. Thanks for joining me for story time! May you live a life filled with wonder because every moment is story time- a time to reflect on what we see in the world. I love the way you connected the story line with our necessary pursuit of CHRIST! It is my belief that it will appeal to all; those needing salvation and those looking for deeper intimacy! Thanks…God has a way of teaching us things through what we know.. I love stories so I was overjoyed how this story was given to me. Thank you so much and be blessed!